For anyone that loves simplicity and simple designs we have this round, frameless style wall mirror. A great modern look that will look great in the living room or hallway and will also make an excellent bathroom mirror. In a large circle shape, the mirror comes with a clear mirrored surface and hangs from a leather look strap. Clear and concise lines with the mirror in a circle shape, this will easily fit in with most interior colours and styles. 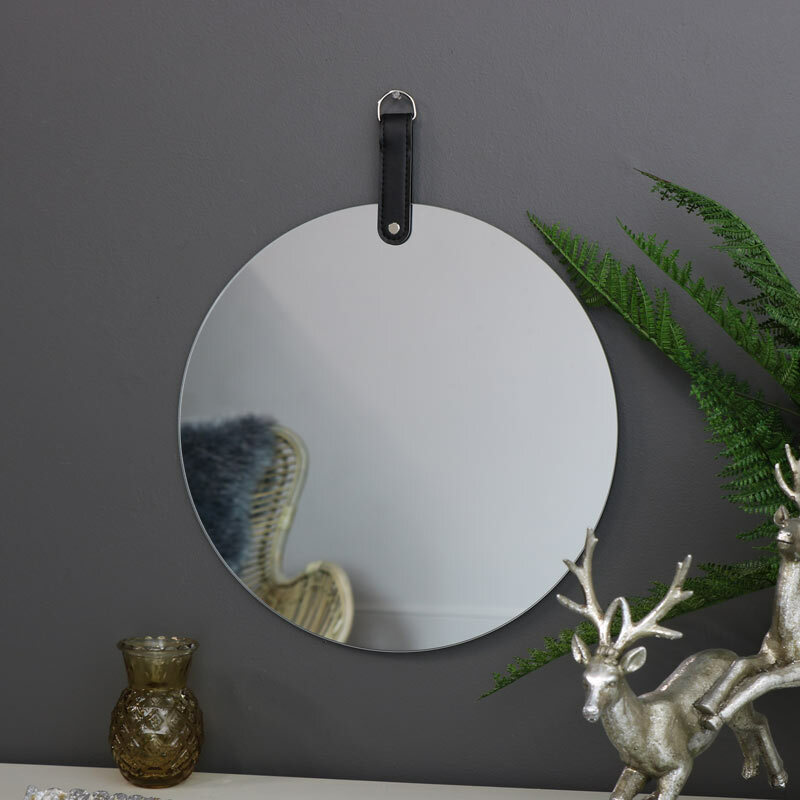 With mirrors making a popular, practical and stylish accessory, this one will be just perfect. For anyone that loves simplicity and simple designs we have this round, frameless style wall mirror. A great modern look that will look great in the living room or hallway and will also make an excellent bathroom mirror. 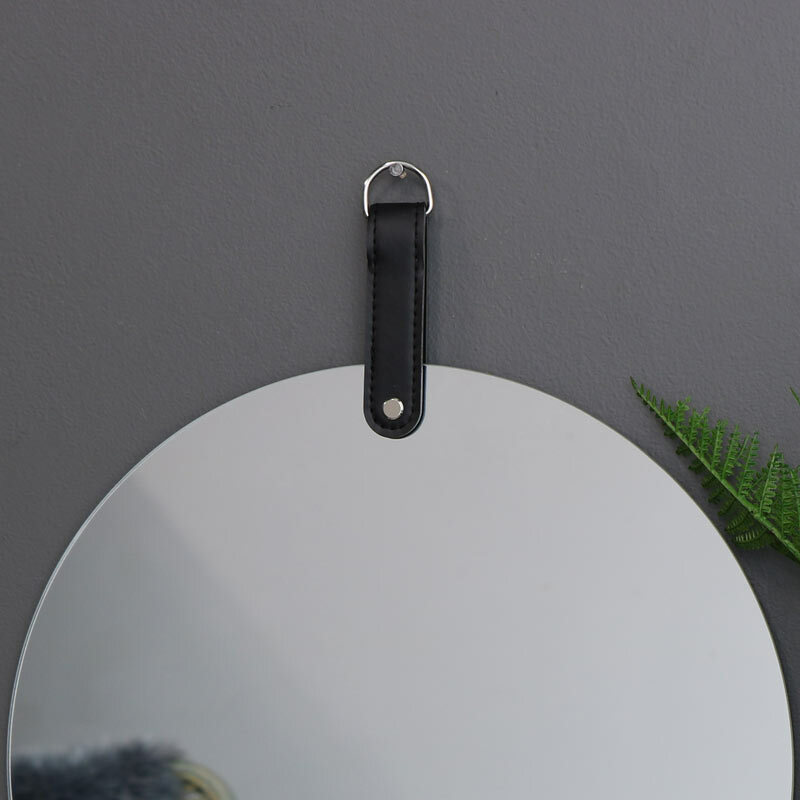 In a large circle shape, the mirror comes with a clear mirrored surface and hangs from a leather look strap. Clear and concise lines with the mirror in a circle shape, this will easily fit in with most interior colours and styles.